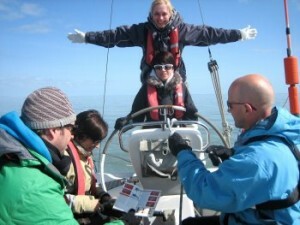 Practical sailing courses sail from Burnham Yacht Harbour, Foundry Lane, Burnham-on-Crouch, Essex, CM0 8BL. You will find our yachts in the marina at Burnham. Yacht name, instructor details, and berth number, pontoon gate and toilet codes given with Joining instructions prior to the course. Click on the Berthing link below for the BYH marina layout. Times: We will send an email and/or text message to let you know your instructor’s name, the boat you will be on and the time to arrive. If you have not been given any joining instructions 48 hrs before your course starts please call or e-mail Des on 07557 474160. We do supply waterproofs and lifejackets. 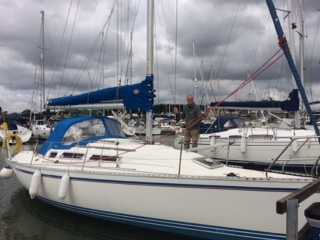 You will need to bring, basically warm clothes, gloves and hats, also deck shoes or trainers plus sea boots if you have them but not essential for just a day sail, however no black soles please as they mark our decks and cockpit sorry! You are welcome to bring laptops/ipads and any food favourites, a small torch is always handy if your staying overnight and please feel free to bring your camera, and of course a change of clothes to go ashore. We have minimum heating on the yachts so a good sleeping bag and bring pillow cases. 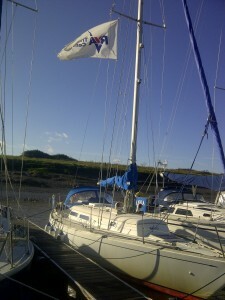 For the practical sailing courses you will need the RYA Cruising log book G158 from the RYA online shop, Amazon or we have some on board if you don’t have time before the course, they are about £8, also the Competent Crew and Day skipper books from the RYA are good reading and gives you a heads up before the course. We provide breakfasts and lunches where applicable but not evening meals unless at sea doing night sailing or arriving late at a destination when there may not be any club or pub/restaurant open. Please put any dietary issues on our booking form thank you and we look forward to meeting you. In the mean time any questions please do not hesitate to ask.